Total Footcare can expertly address a wide variety of the most common problems people experience in their feet, ankles and lower legs. For over 20 years, our staff has been happily helping people's feet feel better. Whether you've got soft tissue problems or simply have an ingrown toenail, we'll get you the treatment you need quickly so that you can get back to your life. We offer specialists with backgrounds in sports medicine and can take care of your fungus or discolored toenails. 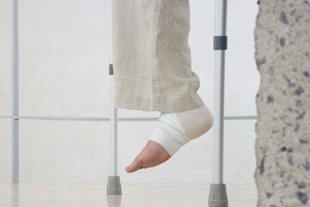 We'll even help you if you've experienced a sprain in your foot or ankle. Whether you recently began to experience pain or you've been living with it for a while, rest assured we can provide the treatment you've been in need of. Our specialists will work diligently to ensure your experience with Total Footcare is pleasant and that you are cared for with the utmost respect.